eGenix provides custom Python development project services to clients wishing to build on the profound Python experience and professionalism of the eGenix developers. We have been working with clients on custom development projects since the inception of the company in 2000. Over the years, we have continuously refined our approach to running projects and adapted the used methodology to meet the practical challenges we faced in real-world situations. Deploying technologies ranging from AJAX-driven web frontends with the look&feel of desktop applications, to low-level TCP network servers scaling to thousands of connections. Dropping to C, if there's a need for more performance, or integrating with existing systems as necessary. All this on Linux, Windows, Mac OS X, Solaris, AIX or BSD. Most of the projects build directly on our open-source and database expertise, part of which we have also made available separately in form of software products for Python, Zope, Plone and Django. we work closely with our clients to design the best possible systems to realize their ideas and visions. 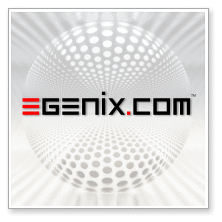 If you are interested in having eGenix run a project for you or want to learn more about how we help you realize your ideas and visions, please don't hesitate to contact us.